On August 26, 2014, it was reported that Country Music legend Merle Haggard doesn’t listen to country music on the radio anymore because he no longer finds it entertaining. The country music legend, and with four projects in the works, he’s still going strong after a five-decade career but he does not like where country music is headed. The Country Music Hall of Fame inductee admits that even after all these years in the business, he simply can't find the entertainment value in modern country music. 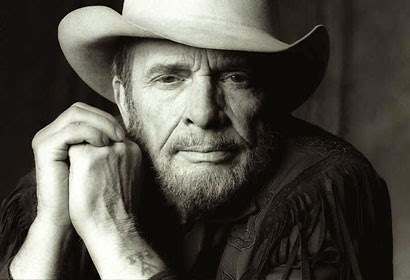 "Ive gotta be honest, I don't really listen to the radio at all anymore," Mr. Haggard explained to News Observer. "Once in a while, I'll scan it and I don't understand what they're doing. I can't find the entertainment in it." Mr. Haggard goes on to say that modern country music lacks "substance," something he’s valued since he got started. "I know these guys, occasionally play shows with them and they're all good people. But I wonder if that record they're making is something they can actually do," the legend says. "Too much boogie boogie wham-bam and not enough substance." "Its all the same musicians, too, probably eight to 10 musicians play on every record you hear," Mr. Haggard added. "For a musician hearing things that way, you can tell when a certain guitarist is playing. I know more about the musicians than the artists, actually." The legend, whose first No. 1 hit came in 1966, hasn’t unleashed an album since 2010, when "I Am What I Am" was released. The singer is back to work, though — he has a total of four projects in the works. "We've got four different album projects that are all almost finished, and well bring them out in continuity," Haggard shared. "We've got a brand-new studio and we've been recording right along all the way, although the lack of radio play for the new stuff makes it difficult. You know, if they put on a new song of mine, they've gotta take off ‘Mama Tried.’ So I'm kind of fighting myself on new releases." I wish I could like modern country music, and while other than every once in a while my wife will tell me about some song she heard that she thinks I'd like, I can't stand it these days. It seems that they took the Western out of the genre. And yes, George Strait is the last Cowboy is country music. Sorry friends, but being some wannabe rock'n roll Redneck is not being Cowboy. And yes, like it or not, let's face the facts that country music today is full of rock'n roll wannabe Rednecks screamers who can't sing or carry a decent note. None are even close to George Strait or even the departed Chris Ledoux who sang about the Cowboy Way. As for where it's going? It's now made for kids who love rock and blaring booming rap noise. And no, I'm not saying that they have to go back to the singing Cowboy with his guitar and horse. I'm not even saying that they have to go back to twang with some made up accent. It would just be nice if listeners could understand the words and the noise was replaced with heart. Yes, country music needs songs had real meanings again, that tell stories again, that has heart again. Why did country music lose its heart, only to be replaced with wannabe hard rock and heavy metal junk and what is called country grunge? But no matter, like Merle Haggard, I just refuse to listen to it because I don't find it entertaining at all. I'm thankful that we live in an era when I don't have to listen to that crap. Instead, I can listen to Merle Haggard, George Strait, Alan Jackson, Chris Ledoux, Waylon Jennings, Michael Martin Murphey, Bob Wills, Marty Robbins, Jim Reeves, Johnny Horton, Diamond Rio, Suzy Bogguss, Emmylou Harris, and even the Statler Brothers on CDs. While the trashy is screaming away on Country Music radio, I simply don't have to listen to it.